Ever So Juliet | Edinburgh lifestyle blog: What's in your pocket? Recently I was contacted by the nice folk at Moneysupermarket, to take part in their 'What's in your pocket' challenge - a campaign to celebrate life's 'little wins'. They recently put together a feel-good experiment where they set up hidden cameras in a dry cleaners & told customers they'd left a £20 note in their pocket by mistake (you can see their reactions here). It's such a sweet idea - it encourages money saving by feeling good & getting an unexpected surprise (like finding money in your pocket you didn't know was there!). I was given £20* and was challenged to spend it on anything I liked, but with the aim to share this feel-good feeling. You may know (I feel like I've been going on about it!) that I've really got back into painting this year, and so I thought it would be nice to combine my crafty side with this campaign. 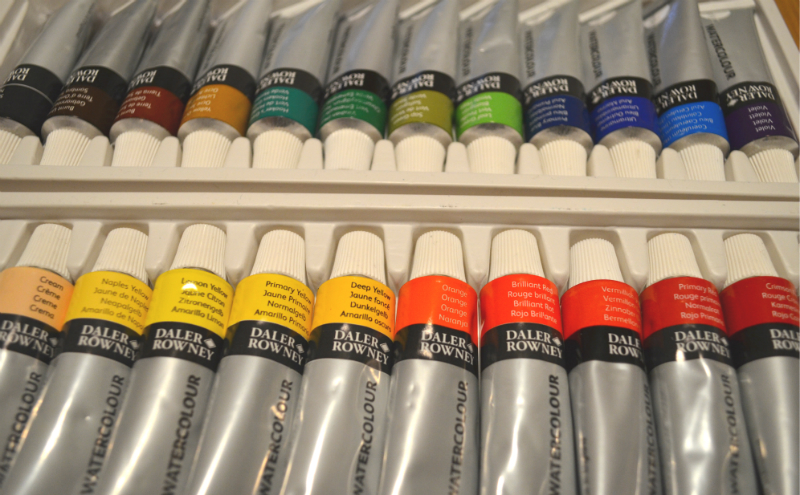 So I used my £20 to buy a few new paints (SUCH a treat, as the ones I've been using are over 10 years old!) and some blank cards and envelopes. 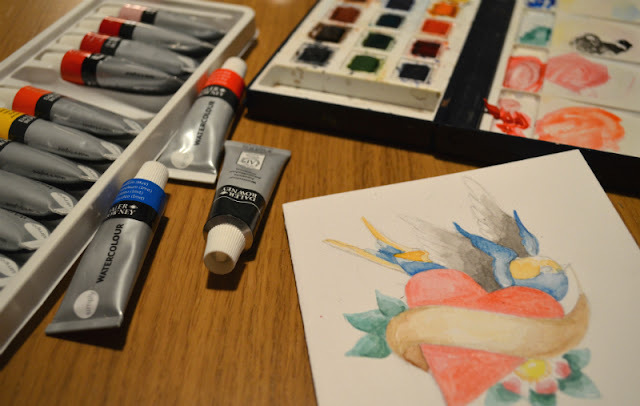 First I painted a Valentine's card for Craig - much nicer than a cheesy Hallmark card (and it fits in better with my make-things-for-your-valentine philosophy!). 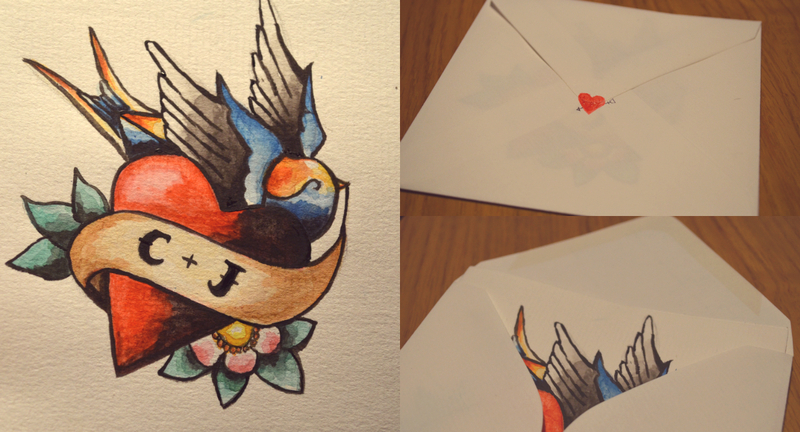 I looked up old tattoos for inspiration (and channelled a bit of Ella Masters too). I'm really pleased with it - it was so much fun to do! (& Craig liked it too, hooray). 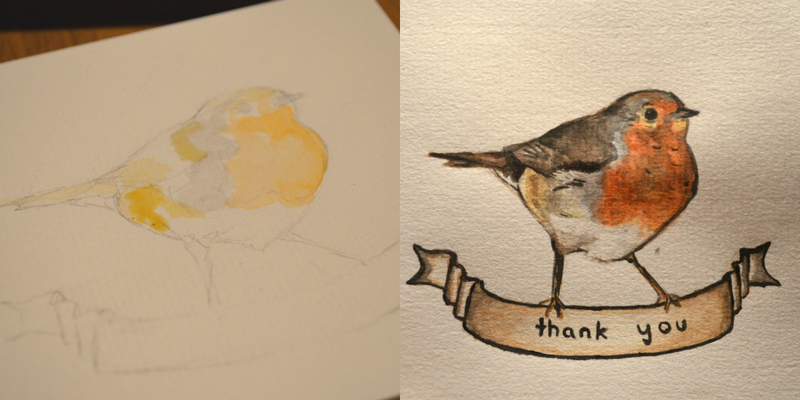 I then painted a thank you card for my old boss Robin. I worked for him for almost six years and wanted to give him something nice to say thanks, so I thought a little painting would be perfect! I'm a bit of a sook! I've got three cards left, and I've barely touched the paints - so they'll last me for a long long time! Shop bought cards can cost up to £4, so this is a good way to save money by making my own. And (hopefully) my friends & family will get a nice surprise when they realise they are handpainted! Win-win! Aw, thank you! They were so much fun to do too! These are SO pretty! I wish I had your talent! I love the Robin card you painted, very talented!